Finally, I have launched my website and blog. I have been providing proofreading and editing services to self-published and trad-published authors for some time now, and commercial proofreading and editing for a lot longer. I have created this website to lend my experience to the writing community. If you are a KBoards author, then you can view my Kboards Yellow Pages service here. If you are a 20BooksTo50k author, then you can view my editing service details here. 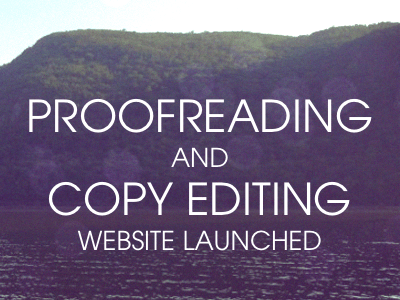 I also provide a proofreading service through Fiverr for smaller manuscripts requiring a 24-hour turnaround. In my experience, even the most diligent of writers will miss the occasional detail when they are “close” to their work. It is always important to have a second pair of eyes scan your writing, whether you get confused by where/were/we’re, or the greengrocer’s apostrophe, or if you consider your written English to be impeccable.